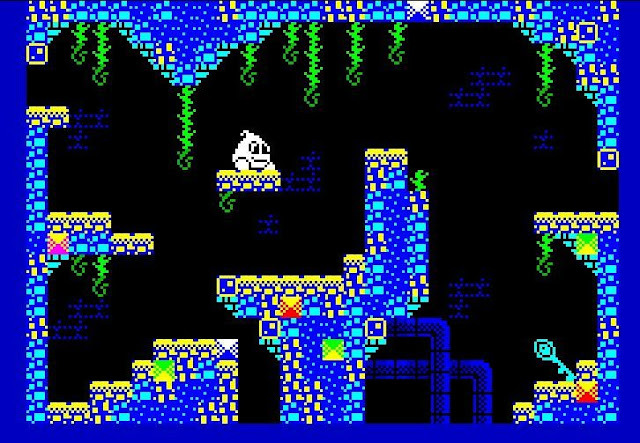 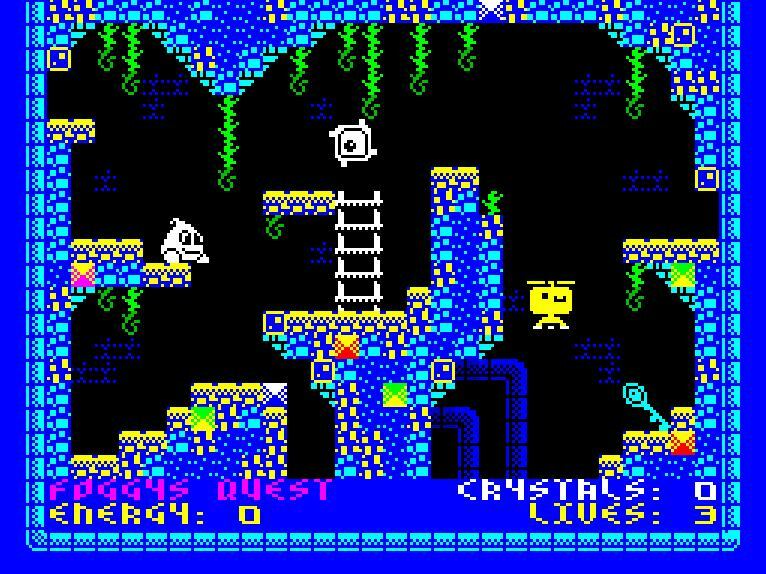 John Blythe has moved away from the BBC Micro and Electron with his horror 8bit adventure The Darkness of Raven Wood, and has come over the ZX Spectrum with a brand new in development platformer called ' FOGGYS QUEST '. Announced only recently on Facebook with the help of Andy Johns , FOGGY is being developed using Arcade Game Designer and will have detailed rooms, enemies, items to pick up and ladders to climb. FOGGY is at a very early stage of development and so far only two rooms have been designed as can be seen by the compared images. Since the first announcement the developer has already created an improved UI with crystals, energy and lives, and has also added a ladder and extra enemies which is not seen in the first image above. 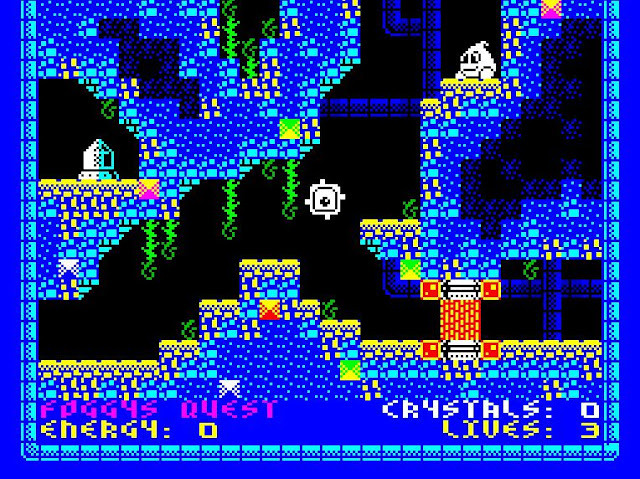 Sadly that's all the information we have so far as it's still being designed, but once we know more we will of course let you know.